I recently finished a baby blanket for a friend of mine whose baby girl is due later this summer. While I started back in April, which did give me plenty of time to finish it before her baby shower, I of course got sidetracked while working on it and was working feverishly the week before her shower to finish it up. I basically had all of the squares done; I just needed to stitch them all together. I used the crochet pattern Beginner Crochet Baby Afghan from the Lion Brand wesbsite as a basis for the blanket but made a few tweaks. 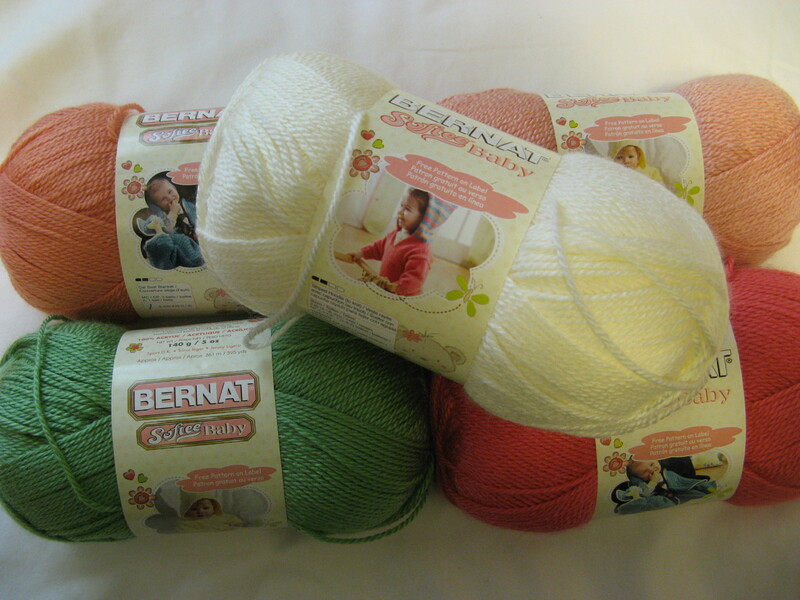 Instead of using the yarn they suggested – Lion Brand Jamie Yarn – I opted to use Bernat Softee Baby Yarn which was the same weight as the Jamie yarn and available at my local craft store. Also, instead of each square being 13 rows I opted to make them 17 rows. The colors I used were Mango, Soft Peach, Soft Red, Soft Fern and Antique White. While the pattern called for only 20 squares after crocheting up the initial 20 I felt that the blanket would be too small so I opted to add more. 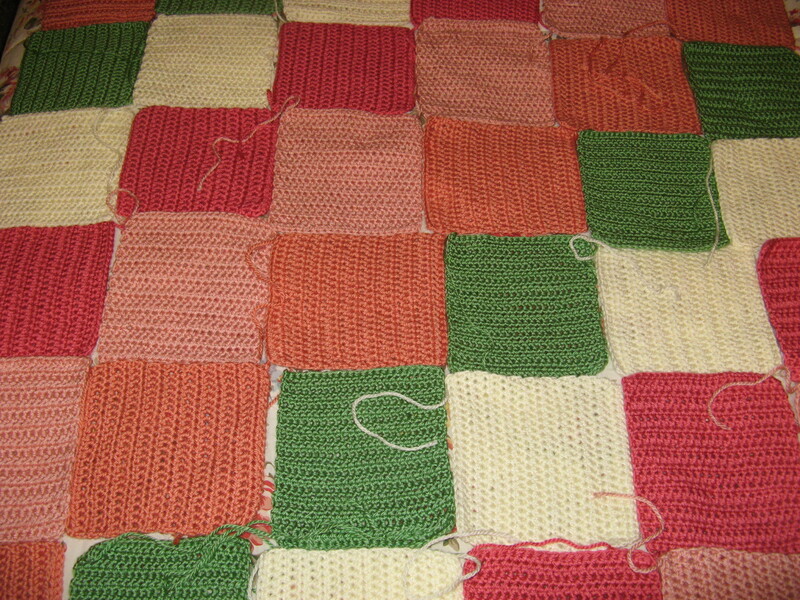 In total I had 42 squares to stitch together. Before beginning to stitch them together I laid out the squares to ensure that I would be following the pattern correctly. After a few hours on a few days the blanket came together. I was happy with how it came out and with the tweaks that I made. Maybe one day I will follow a pattern perfectly but sometimes throwing in a few changes can make such a difference. WOW…you did it and it’s beautiful!!! Loved the colors. I bet your friend liked it and the baby will really enjoy the beautiful & cozy blanket! 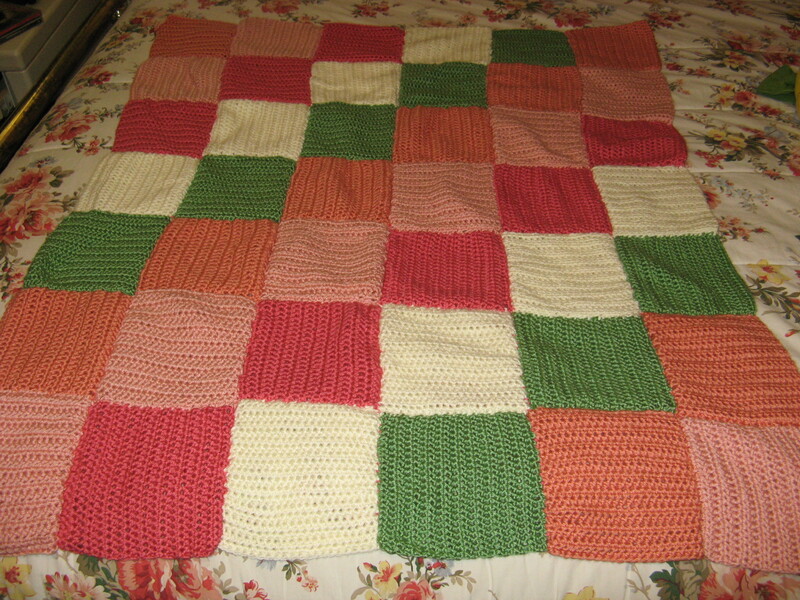 This may sound crazy, but worth a shot – I am making a baby afghan and would like to add a rosette on the corner. Do you have any of the soft fern yarn left you would be willing to sell to me? I only need enough to make some petals, not worth the $$ for an entire skein! Hi Pam, I checked my yarn stash and unfortunately I don’t have any of the yarn left. Sorry!